Every EB patient is different… no, really! 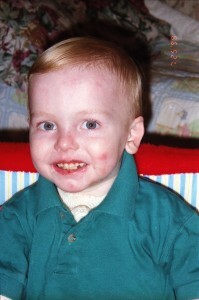 When my son was born and later diagnosed with Recessive Dystrophic EB I thought the only difference with him and the other patients was the degree of severity. Actually, I take that back. I did not know there was a degree of severity either, I thought that, like most diagnoses I had known in the past, either you have it or not, like cancer. You either have it or not, there was no ‘worse’ or ‘better’ cancer, it just was. It wasn’t until my first trip to Stanford that the Doctor put a label on severity for me… ‘mild to moderate’ was his opinion. Oh… OK. We were happy with that, gosh, we don’t want to hear ‘severe’ ever. 6 months later, after Nicky started vomiting skin and blood and could no longer eat any baby food, he told us he had to ‘upgrade’ his diagnose to moderate to severe. Joy. Even so, when Nicky was little, I felt that RDEB followed a specific set of guidelines, certain areas of the body were bad or worse depending on severity and that patients were all pretty much the same. I even said and gave advice I have since apologized for because I realized something that a lot of people are unaware of. Every patient is different. No, really!!! Each and every patient is different. They really, really are. I feel SO uncomfortable giving advice nowadays I rarely do it, and when I do, I do it only if I feel I can honestly contribute and truly help in some way. Oh, and the patient has to have at the very least the ‘same’ RDEB diagnose. I would not dream of knowing how to care for a Simplex/Junctional patient and I always refer those questions to other patients or parents with children with similar diagnosis. So… how do these patients differ? I can only speak for RDEB patients, of course, but I noticed many differences, not only in the skin and how it heals and where the wounds are, but what matters to one patient that does not to another. Some patients, for example, like to air dry their wounds, they feel it works better for them. Others simply need to be covered, end of story. There truly is no need to argue about it or tell a parent who does not wrap to wrap or the other way around it. Every patient is different. We know what works for us and that’s the way it is. Some other patients are adamant in keeping their hands, some don’t. This is a very personal decision, to mock one for doing surgeries or to mock another for not doing them serves no purpose. We need to support one another. Here’s a personal experience. Nicky often gets kudos for having a neck and chest that is wound free. Of course I’d like to think I have something to do with that because when he was little I wrapped his chest a lot and kept his hair long (not too long in this pic, he was basically bald until he was 2, ha ha) so his head and neck would be protected by the hair. Furthermore, I would always buy him high collar shirts to protect his neck even more from any little possible injury. Little scratches can grow and become huge problems with EB as I found out early on. As he grew older, areas that never got wounds became a bit tougher, harder to wound. I don’t know if my protection techniques helped or not, but I’ve met many patients whose necks were one of their worse problem… but, unlike Nicky, can walk just fine. Nicky’s feet have been a big problem for him as long as I can remember. I tried every which way to protect them, but from the time he was 10 or so they got worse and worse, almost like a spiral. Once the got wounded bad it was the end of it. He can barely walk now and I have to help him most of the time. I even met patients who can barely walk but can eat pretty good all things considered, and some that could not eat anything but walked just fine. Some patients do very well with g-tubes, for others it’s a nightmare. I remember meeting this fine young man, with beautiful, normal looking hands, who could not walk at all. Another who claimed he had no wounds on his body because he had mentally mastered itching. Another could barely walk, but went rock climbing. I met patients that can drive and others that could not even imagine driving. I even saw some patients with tattoos or piercings and others who would think these things are simply crazy talk. No, really, I’ve seen it all. Every patient is different, I can’t say that enough. Every patient is different! So… next time you might feel the urge to judge, please remember this blog. 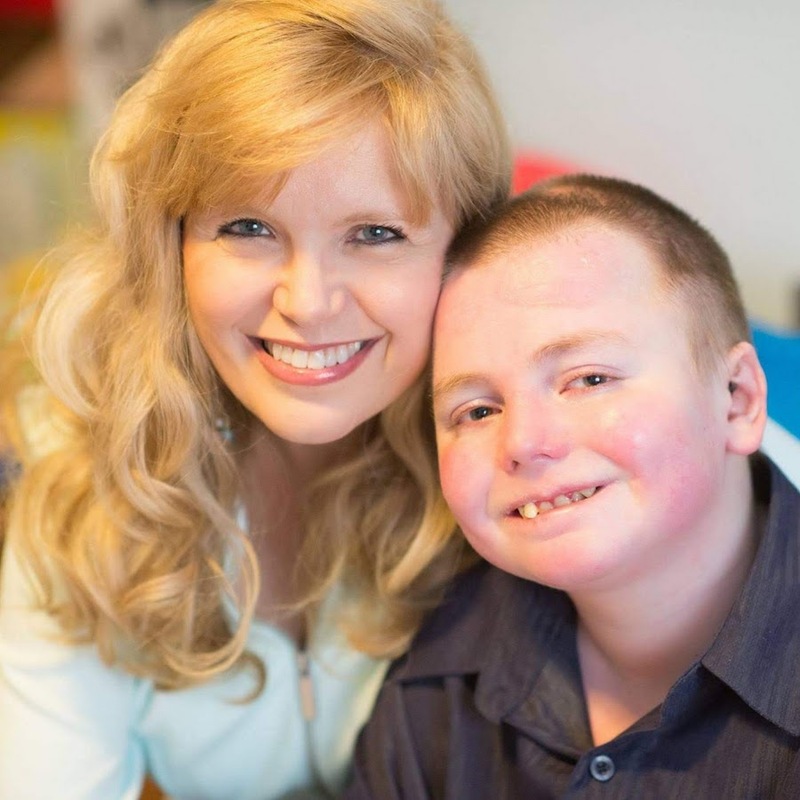 Every EB patient is different… no, really!